Dubai – La Premier Composite Technologies ha annunciato il varo del primo Farr 400, monotipo disegnato dalla Farr Yacht Design destinato ad essere l’erede del Farr 40. I primi bordi seguono di appena tre mesi l’annuncio della partnership tra il cantiere costruttore e lo studio di progettazione statunitense. La barca, già venduta in una decina di unità, verrà ora sottoposta a una rigorosa serie di test e sarà spinta al limite da un equipaggio guidato da Dee Smith e dall’architetto navale Luke Shingledecker. L’obiettivo è quello di verificare il funzionamento di tutta la componentistica di bordo, incluso l’albero prodotto dalla Southern Spars – un Element C6 Carbon frazionabile in due parti – e l’attrezzatura di coperta fornita dalla Lewmar. Nel corso della settimana, Dobbs Davis si preoccuperà, invece, di misurare la barca per le stazze IRC e ORC. Completate queste operazioni preliminari, il Farr 400 sarà trasferito in Europa deove sarà impegnato sui principali campi di regata nel corso dell’entrate stagione agonistica. Le prime regate di classe sono fissate per il 2012. Per consultare una scheda tecnica della barca clicca qui. [Source Premier Composite Technologies] Premier Composite Technologies, the leading supplier of advanced composite components for the Marine and Architectural markets are today pleased to confirm the launch of the first Farr 400 – one week ahead of schedule. 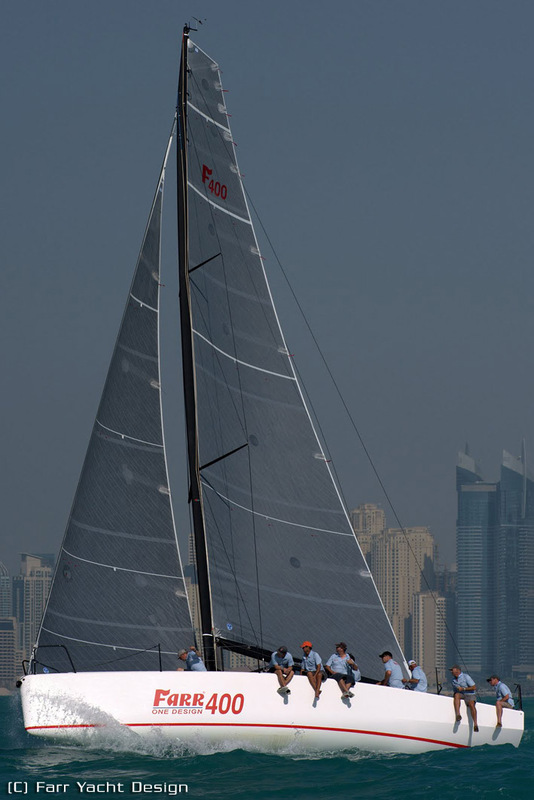 Premier Composite Technologies announced in January that they would be collaborating with Farr Yacht Design to build the next generation, all carbon, one design 40ft racer and In just under 3 months the first hull has hit the water having been launched today in Dubai. 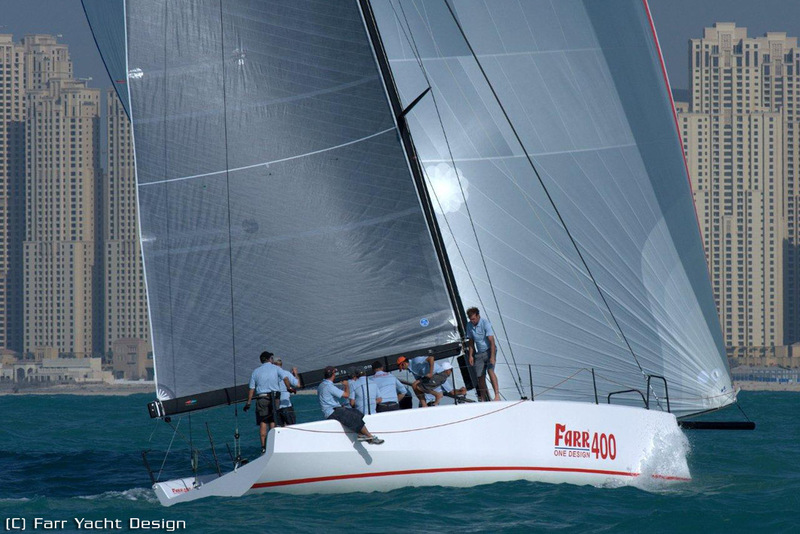 The Farr 400 will under go a week of rigorous test sailings and will be pushed to the max by Prosailor Dee Smith, Naval Architect Luke Shingledecker from Farr Yacht Design and Bill O’Malley of Farr Yacht Sales, to ensure all components, including the Southern Spars Element C6 Carbon rigging, Grand Prix two-piece mast and Lewmar racing winch and deckgear, are performing to their maximum potential. During the week of testing, Dobbs Davis will be on hand to measure the boat for IRC and ORC ratings. Press and prospective customers have also been invited to experience what is anticipated to be the next dominate one design racing machine. Following test sailings, the Farr 400 will be shipped to Europe for a series of Spring/Summer European events to be announced next week. To date, 10 boats have been sold, an impressive achievement considering the boat is being sailed for the first time today. 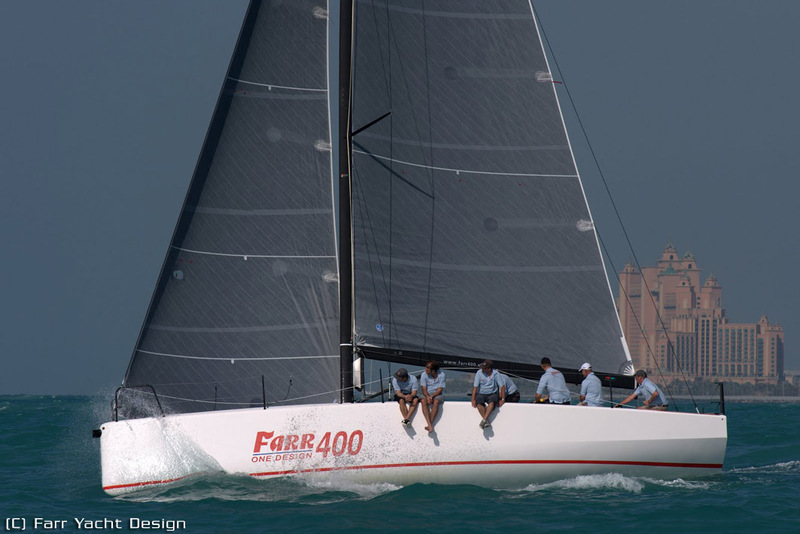 The first of many Farr 400 one design regattas are being organized in Europe and the US for early 2012.